The greatest feature of new type organic fertilizer making machine is reducing manufacturing cost and increasing yield. 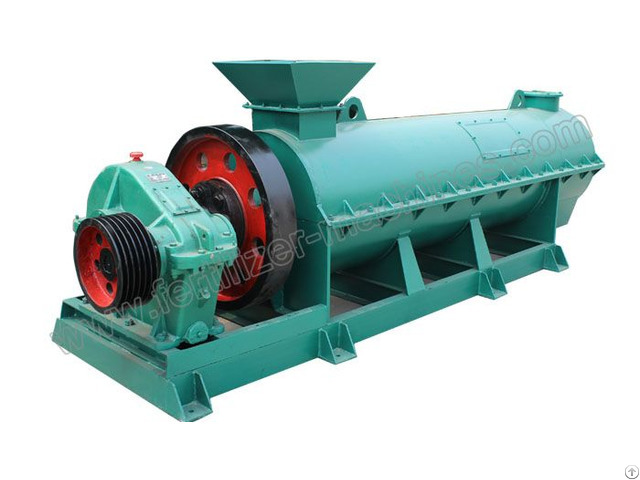 After being fermented sufficiently and crushed, raw materials can be directly sent to this machine to produce spherical organic fertilizer granules. It is widely used in organic fertilizer manufacturing process, such as our 50, 000 tons/year new organic fertilizer production line. 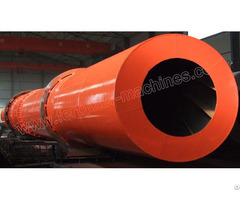 Shell of this organic fertilizer making machine is made of seamless steel tube, durable and never deformation. Coupled with solid base design, making it run more smoothly. Fine powdery materials are mixed, granulated, and condensed in it, thus completing the whole manufacturing process. Working Principle of Organic Fertilizer Dedicated Granulator: Organic matters are feed into the organic fertilizer granulator through feeding inlet. With the effect of high-speed rotation force and aerodynamic force, materials are mixer evenly in the granulation chamber, and then granulated into organic fertilizer granules. The finished organic fertilizers are pushed out of the machine on the discharge side. In organic fertilizer production line, new type organic fertilizer granule machine usually connects with rotary drum screen. If you are interested in it, please feel free to contact us any time for more details. Posted By: Azeus Fertilizer Machine Co.,Ltd. Business Description: As the well-known fertilizer machines manufacturer, AZEUS Fertilizer Machinery is committed to produce high-quality compound fertilizer and organic fertilizer making machines with reasonable price, and meticulous service. As always, staff in our design department make every endeavor to innovate the performance of the fertilizer machines, striving to manufacture the best fertilizer granulator machine and fertilizer production line. We do want to cooperate with our new and old customers, establishing our friendly and cooperative relations. ☑ Cost Efficient Organic Fertilizer Machines, such as hydraulic compost turner, self-propelled compost turner, high moisture materials crusher, flat die fertilizer pellet mill, disc pan granulator machine, rotary drum dryer & cooler, fertilizer shaping machine etc. 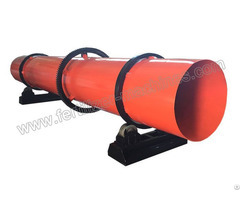 ☑ Durable Compound Fertilizer Equipment, such as batching machine, vertical chain crusher, rotary drum granulator, double roller fertilizer granulator machine, rotary drum coating machine etc. ☑ Organic/bio Fertilizer Production Lines, such as 20,000 tons organic fertilizer plant, 50,000 tons/year organic fertilizer production line etc. ☑ Compound Fertilizer Production Line, such as 50,000 tons/year compound fertilizer plant, 100,000 tons/year compound fertilizer production line etc. All those fertilizer production lines are for your reference only. Engineers and sales persons will specially design for you in accordance with your raw materials, self construction of factory building and capital budget. 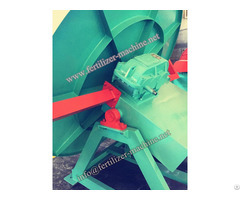 If you are in need of fertilizer machines, please feel free to contact us any time for more details. You can also send us inquiry, we will contact you within 24 hours.